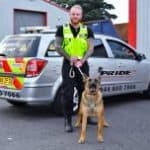 Pride GB Security Services provide a range of security services in Birmingham including security dogs, mobile security, static security, and alarm response. The Pride GB Security team are always well equipped for duty in Birmingham, from the protection of storage areas to industrial estates, warehouses, and building sites. 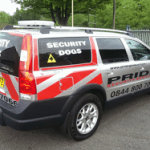 Pride GB is one of the only security companies that is accredited to use trained security dogs in Birmingham. 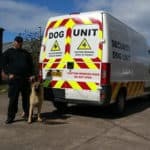 Our NASDU approved dogs are an extraordinarily effective deterrent against intruders and our expert, highly-trained K9 security dog handlers always deliver a professional, high-quality service. Pride GB offers highly trained and skilled security officers to safeguard your premises. All our officers are fully licensed and uniformed to deter any intruders and always strive to provide the best possible service. Our mobile security patrol service is designed to provide an effective and highly visible deterrent against invaders. Ideal for when 24/7 static security is not needed, our uniformed security officers can patrol your premises to your required schedule. Pride GB has an outstanding reputation providing keyholding and alarm response services in Birmingham. Our service is operated in accordance with British Standards and we ensure a rapid 24/7 alarm response to handle any incident professionally and keep your property safe. Get in touch today to learn more about our security services in Birmingham and keep your premises safe and secure.